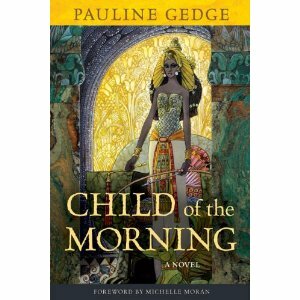 One of the books you can win in my Motherload Contest (along with two others by thge marvelous Michelle Moran and an ancient Roman coin) is Pauline Gedge's Child of the Morning. So I thought I'd review it! She ruled Egypt not as Queen but as Pharaoh 35 centuries ago. Yet her name- Hatshepsut- does not appear in dynastic rolls, nor is her reign celebrated on monuments. Prejudice against a female on the throne was so vehement that successors tried to erase all signs of her regime. Records and monuments were destroyed, the tombs of faithful ministers defiled. Similarly defaced were the commemorative walls of the vast and magnificent temple erected for her at Deir el Bahri by the royal architect who was her lover. And yet she endured. 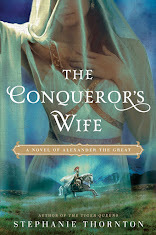 This is the story of the young woman who assumed the throne of Egypt, mastered the arts of war and government, lived life by her own design, and ruled an empire- the only woman Pharaoh in history. 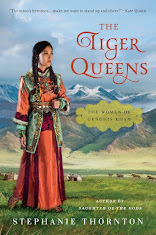 I read this book years ago and absolutely loved the richness and pageantry Gedge recreated. The story was meticulously researched from the daily facets of life in ancient Egypt to the actual events during Hatshepsut's reign. I especially loved the war scene where Hatshepsut really came to life. 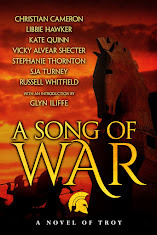 A woman at war? Fighting? That totally rocks! My one issue with this book was that it was hard for me to connect with Hatshepsut due to the language used. It's stiff, at least to my eyes, which could be because the book was originally published in 1977. 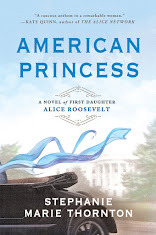 I prefer my historical fiction to be a little less stiff, but then I've had readers of my MS tell me my writing isn't formal enough for the genre. But overall this was a great read, especially if you want to learn more about Hatshepsut! And don't forget! 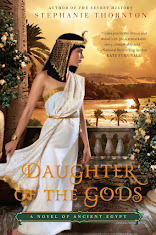 The contest to win Child of the Morning, Michelle Moran's Cleopatra's Daughter, Nefertiti, and an ancient Roman coin ends April 11th! Tomorrow I'll be reviewing Nefertiti! 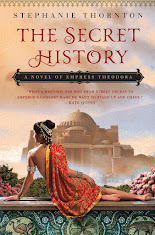 So here's your question of the day: What women from history do you find totally intriguing? I, of course, adore all Egyptians, but also have a soft spot for Elizabeth I.